Market Street Depot of the Pennsylvania Railroad circa 1910. 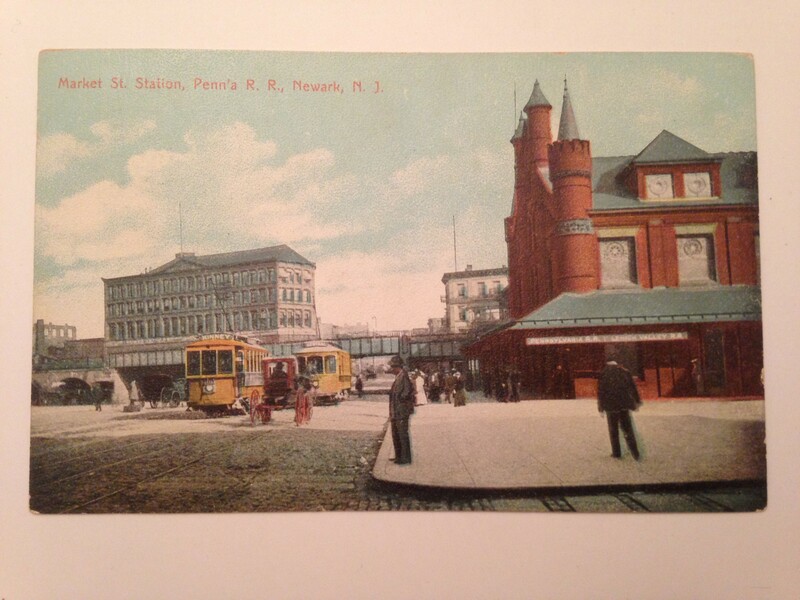 This beautiful color post card is extraordinary because it encompasses so much more than the depot.In it we see trolleys, horse drawn wagons, pedestrians and a number of buildings in the Ironbound district. You get a sweeping eastward view as if you were walking down Market Street toward the station . 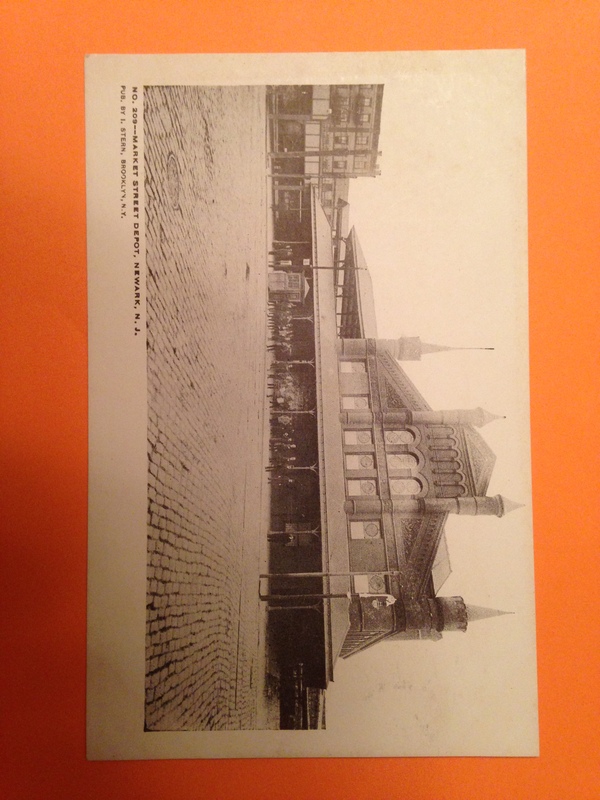 Most of the post cards depicting this scene either face west up Market Street or south to the front of the station (black & white post card). I especially enjoy the view of the tall building overlooking the tracks.When the new Pennsylvania Station opened, in 1937, and the old depot was demolished, the transformation which culminated with the Gateway complex had begun. When the original Market Street Depot was demolished, my Grandfather, who owned a business a few short blocks away, bought a roll top desk, which he used until the 1960’s as a storage desk and work bench, and I inherited and have in my study to this day. Great story! You own a piece of history.